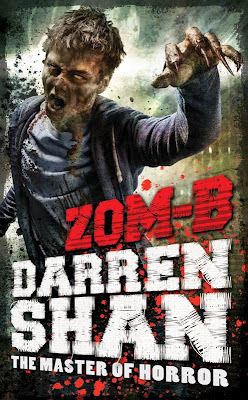 Empire of Books: Darren Shan's ZOM-B Cover Reveal! Darren Shan's ZOM-B Cover Reveal! The fourth and final book in The Saga of Larten Crepsley, Brothers to the Death, comes out next week here in the UK, and not one to take a break, Mr. Shan is about ready to kick start a new series! Oh yes! Titled ZOM-B, this is the first book in the ZOM-B series which is set to span 12 books, and take us right up to 2015! Sweet! Lots of Shan action to keep us all occupied and entertained! Well here's the cover, and it's out 27th September! Can't wait! Cover for Anthony Horowitz' OBLIVION revealed! !